HeartMath®, internationally recognized for their scientifically validated approach to stress and anxiety, is offering a number of resources to help people find a little more ease through these tough times - from free monthly webinars and educational downloads, to new web applications designed to help people better manage stress and their convenient and widely popular mobile emWave® technology. Stress experts say today's news is enough to spike anyone's anxiety level. With the ongoing reports of natural disasters in the U.S. and abroad, the increase in the number of mass layoffs, home foreclosures, bank failures and the talk of whether the U.S. is in or headed towards a recession is putting an emotional strain on people's psyche. HeartMath®, internationally recognized for their scientifically validated approach to stress and anxiety, is offering a number of resources to help people find a little more ease through these tough times - from free monthly webinars and educational downloads, to new web applications designed to help people better manage stress and their convenient and widely popular mobile emWave® technolog y. "This year has been exceptionally stressful for people," says psychologist Deborah Rozman, Ph.D., co-author of Transforming Anxiety: The HeartMath Solution for Overcoming Fear and Worry and Creating Serenity. "Uncertainty is hitting closer to home with millions of people feeling that they're living on the economic edge. It's not just people's bank accounts that are being depleted, their mental, emotional and physical resources are being exhausted too. Whether it's the lack of certainty about our home, our health, our financial stability, or our personal safety, it starts to eat away at our basic sense of security and well-being." When life gets more challenging, Dr. Rozman says: "We need to be on the lookout for 'overcare' - an emotional habit that people commonly resort to when things are feeling unstable. People can think that if they're not worrying or obsessing over a person, situation or outcome it must mean they're not caring enough. The need to worry or obsess is really just a mental and emotional habit. It is possible to find an inner peace and security during stressful circumstances. The stronger our foundation of inner security, the more resilient we are, the quicker we can recover from overcare and feelings of worry, stress and anxiety, and the less we'll drain our precious inner resources." The term "overcare" was coined by Doc Childre, founder of the HeartMath system and co-author of numerous books, including Transforming Stress, Transforming Anxiety, Transforming Anger, and Transforming Depression. Doc describes overcare as that which happens when the mind and emotions cross the line of balanced care into over-attachment and over-identity and get bogged down with whomever or whatever you're caring about. 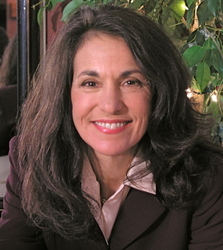 Wendy Warner, MD, Founder and Medical Director of Medicine in Balance, LLC and President of the American Board of Integrative Holistic Medicine, says: "Overcare is often disguised as angst, worry, concern, sympathy, or even sentiment, and can lead to stress-related health issues such as headaches, backaches, high blood pressure, digestive issues, and hormonal imbalances. Although both men and women can experience overcare and related physical complaints, our society tends to 'train' and expect women to be caregivers, so they tend to be more prone to overcaring about people or situations." Feeling anxious about finances, when your son asks if he can get a new guitar you're quick to lose your temper. The memory of a scary childhood experience triggers fear- and worry-based projections when your spouse suggests getting a dog for the family. You immediately rattle off a list of all the bad things that could happen and adamantly refuse to consider it. What began as sympathetic thoughts about those affected by a natural disaster turns into relentless musing and fear-driven projections of what could happen in your area. You gas up your car and feel concerned about the cost of commuting to work. Your concern turns into negative musing, grumbling about how everything costs more these days and blame toward your spouse for insisting on buying an SUV. In examples above, the original caring intention is compromised and instead becomes emotionally draining and often creates a negative effect because we overreact, make a hasty decision, project fear of a worst-case scenario, or blame and judge others. It's not that we care too much, but more that we don't know how to manage our care, which in turn impacts our health, relationships, productivity and happiness, and leads to overwhelm, stress, anxiety and even depression. Dr. Rozman says, "Using the HeartMath tools and techniques in conjunction with the emWave Personal Stress Reliever® has been immensely helpful for people. Much like a GPS helps you get from point A to point B, the emWave PSR helps you navigate through challenging situations. Giving you direction through its real-time feedback, it teaches you how to quickly get back to a balanced mental and emotional state." The tiny mobile device is a convenient and effective tool to help people build a buffer against stress and anxiety. You can download an article and related video from HeartMath's website that will provide more information about how to help ease out the stress of overcare. The article gives examples of overcare, a personal evaluation and tools to help you shift out of overcare and back into a state of balanced care. 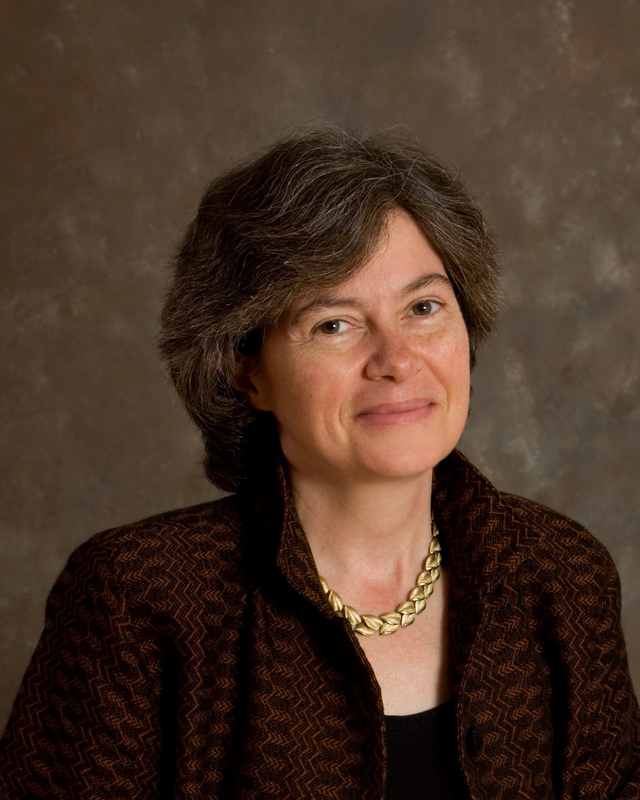 The video features Dr. Wendy Warner sharing stories about patients experiencing overcare. HeartMath's community web page offers a number of excellent free resources that give people scientifically validated tools and solutions to help alleviate mental and emotional fatigue and stress. Webinars and downloads - Each month HeartMath offers free webinars that delve into various areas such as the power of positive emotions, personal growth and empowerment, and how to effectively address stress, anxiety, sadness and depression. 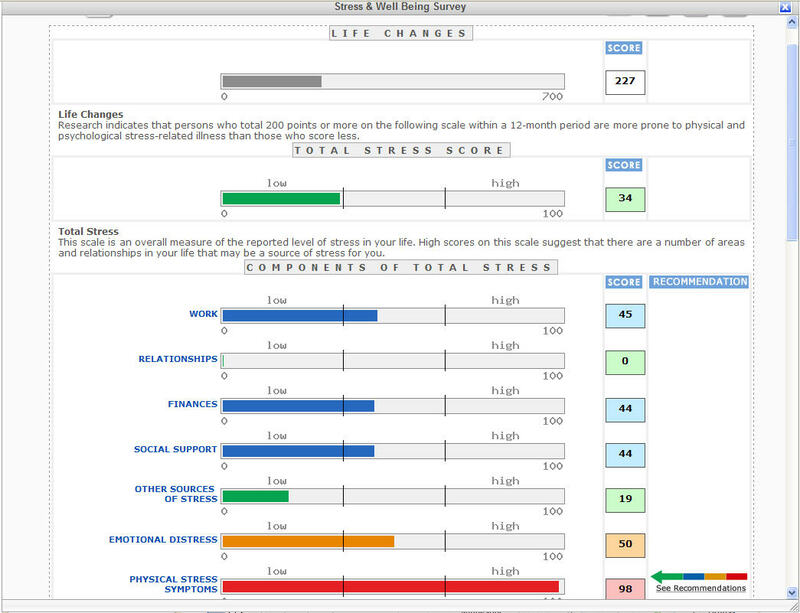 HeartMath's Stress and Well-being Survey - This research-based personal assessment tool helps people understand more fully how twelve different aspects of their life, such as work, relationships, finances, adaptability, resilience and emotional vitality, impact their levels of stress and well-being. The survey includes useful recommendations to explore your state of mind and heart and helps you stay proactive and objective. 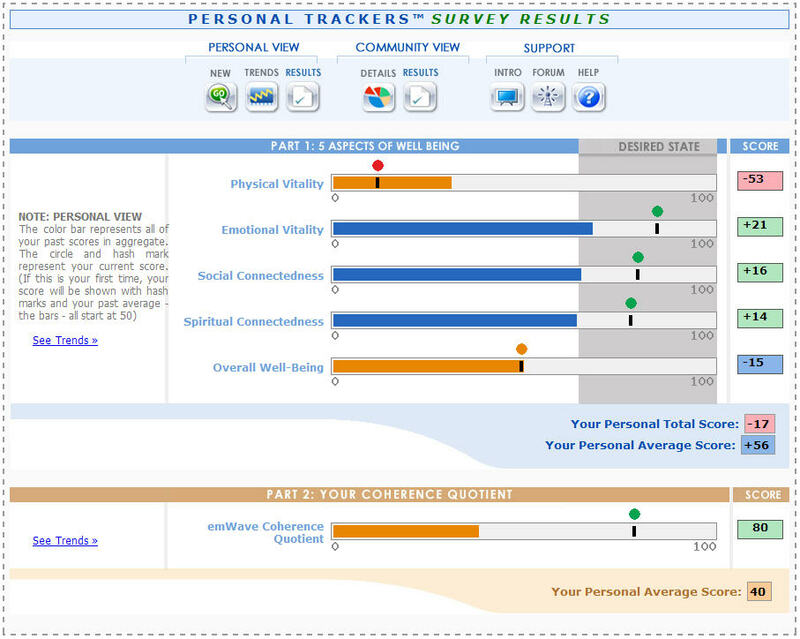 HeartMath Personal Trackers® - This tool assesses your 5 Aspects of Well-Being™: physical vitality, emotional vitality, social connectedness, spiritual connectedness and overall well-being. The tracker helps you stay current and gain insights into different areas of your life and see what changes are transpiring from your efforts. 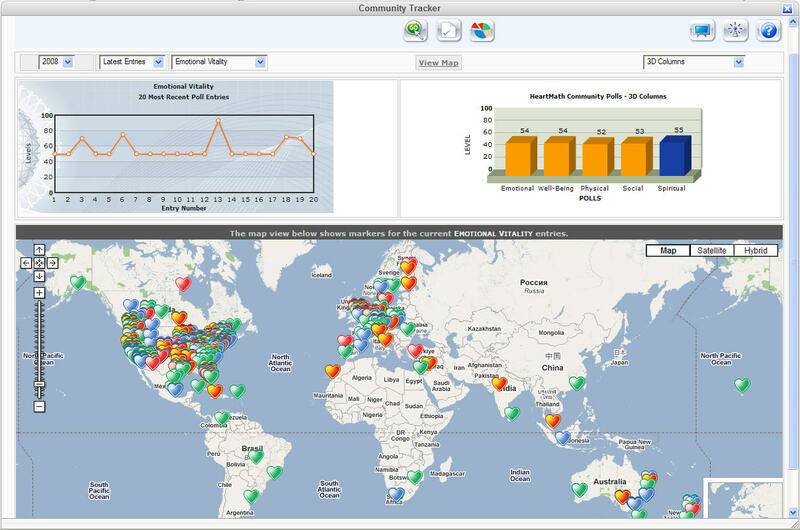 Community Tracker™ - This offers a broader assessment, much like a stethoscope on the heart of your community. The assessment tool allows you to see in real time how your community is feeling as a whole and how others are doing in the areas of physical and emotional vitality and overall well-being. HeartMath LLC (http://www.heartmath.com) is a cutting-edge performance company providing a range of unique services, products, and technology to improve health and well-being, while dramatically reducing stress and boosting performance and productivity. For more than 17 years HeartMath clinical studies have demonstrated the critical link between emotions, heart function, and cognitive performance. HeartMath's compelling solutions for stress relief have been published in numerous peer-reviewed journals such as American Journal of Cardiology, Stress Medicine, Preventive Cardiology, Journal of the American College of Cardiology, Integrative Physiological and Behavioral Science and Alternative Therapies in Health and Medicine. HeartMath's organizational clients include Duke Medicine, Stanford Business School, Stanford Hospital, Mayo Health System, Blue Cross Blue Shield, Sutter Health, Scripps Center for Integrative Medicine, BP, Cisco Systems, Redken, Kaiser Permanente, Boeing and the NASA Goddard Space Flight Center, as well as dozens of school systems and thousands of health professionals around the world.